It is a good thing to see the world from a different point of view every now and then. We can stand and walk in someone else’s shoes, but what is it like to sit in someone else’s chair? What if the seat of this chair rises only fourteen inches above the ground? I recently had the opportunity to take a seat in these small-size chairs while visiting pre-K and kindergarten classrooms at Dealey Montessori, Medrano Elementary, and Urban Park Elementary in DISD. Two 11th grade students from Skyline High School, Yvonne and Lauren, joined me during the visits to interview several young students who sit in fourteen-inch chairs every day at school. Our visits to schools are part of a larger partnership project between the Dallas Museum of Art and the Architecture Cluster at Skyline High School. Lauren and Yvonne are just two among more than eighty Skyline Architecture Cluster students who created an amazing installation now on view in the Center for Creative Connections. The installation, Sculpting Space: 299 Chairs, features fourteen-inch, standard-issue classroom chairs in all colors as the primary material. The Skyline students have transformed ordinary chairs into extraordinary chair assemblages that sculpt the space of one gallery. Museum visitors move through the space, walking under and around clusters of chairs. Look for more information in the coming weeks about Skyline’s unique installation on the blog Uncrated. 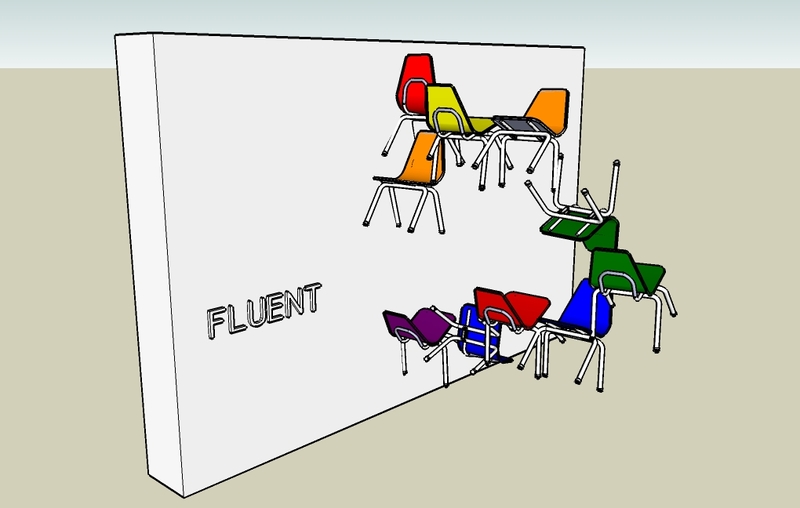 Google Sketch-Up model for a chair assemblage that reflects the spatial concept, "fluent"
Early in the partnership project, Skyline students and their teachers, Peter Goldstein and Tom Cox, had the brilliant idea to get “used” chairs from three DISD elementary schools. They were interested in chairs with stories to tell — marked-up with years of scratches and crayon scribbles. 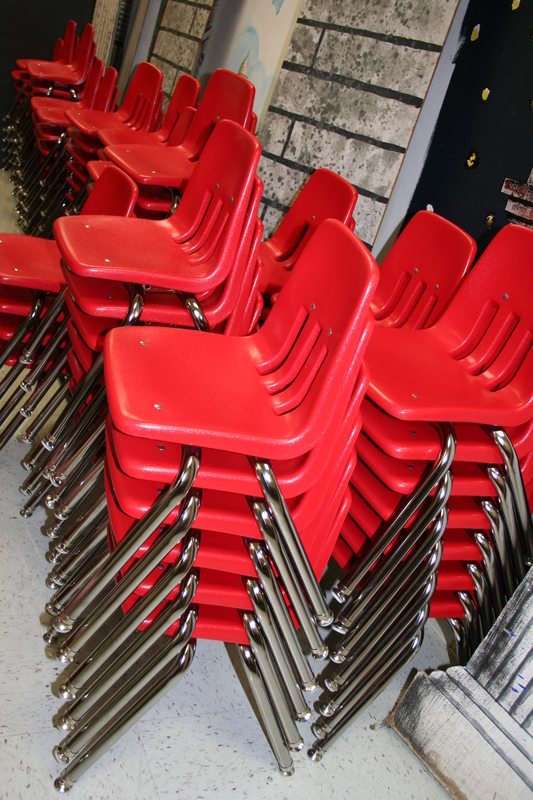 The DMA purchased hundreds of new chairs, and then Skyline students swapped the new chairs for old chairs at Dealey, Medrano, and Urban Park. As part of the process, the elementary school students were invited to draw their chairs, write about them, and think about all of the many things they do while seated in the classroom. Video interviews with pre-K and kindergarten students about their chairs are included with the DMA installation. Special thanks to the teachers, students, and staff at Dealey Montessori, Medrano Elementary, and Urban Park in DISD for being a part of this wonderful partnership!